The right material, at the right time, on the right machine. 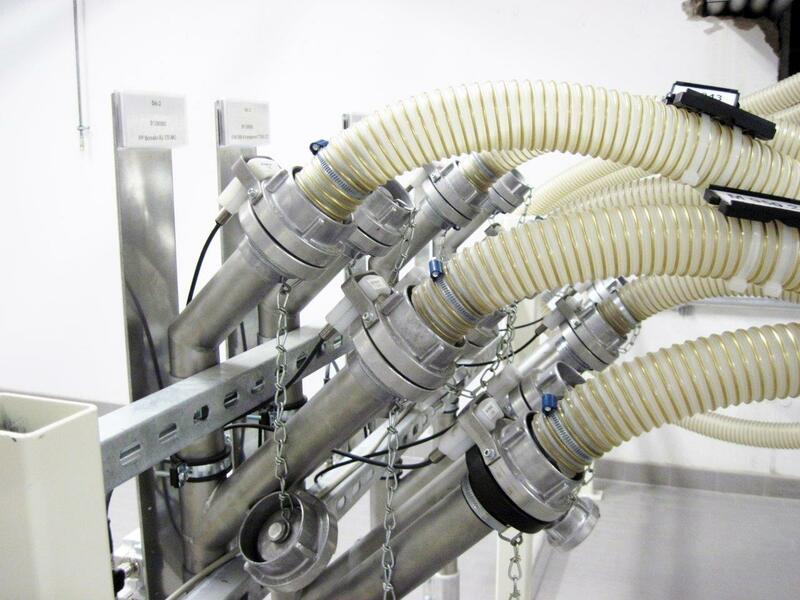 Dosing, storage and conveying systems for the plastics industry. Precondition for the security in the process are all upstream and downstream peripherals. With our storage and conveyor systems we ensure an optimal and fast delivery. Our model-based material handling ensures monitoring and control. Pneumatic suction conveyor systems are an important component in the production of high-quality products in modern plastic processing. The automated material supply with granulates, masterbatches and grinding media ensures high plant utilization and availability, is an integral part of the production infrastructure and is networked with many upstream and downstream processes. 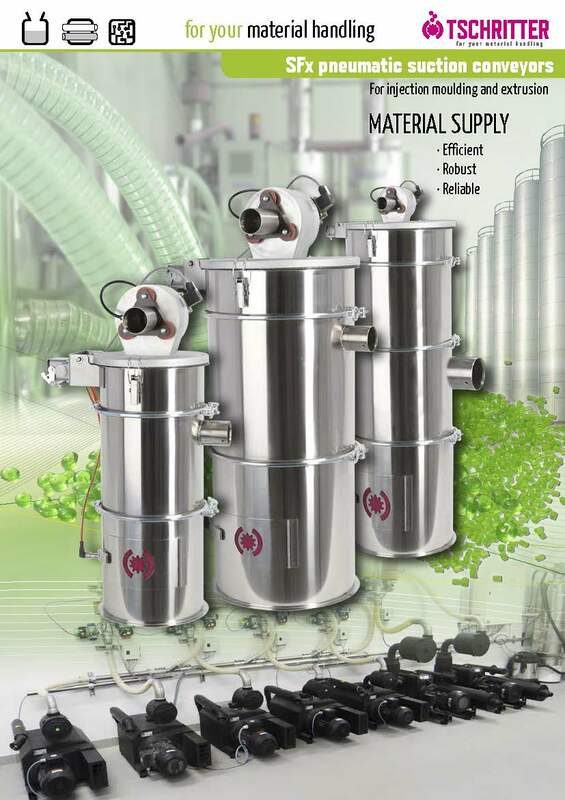 Material silos, dosing, drying and also processing machines must work together optimally. The model-based material handling functions are similar to a navigation device in the vehicle. It maps the devices and routes from the reality, links all units together and indicates the states of the individual devices. Actual statuses of the materials, clutches and faults, batch numbers and other parameters of the process are logged and displayed in a user-friendly touch display, which can be attached to any position. The self-developed SGX control and visualization is the core of the approach and the logical level between conveyor control and visualization system. At this level, the complete material supply, with all silos, bunkers, fixed pipe connections, dome stations, dryers, conveyor separators and machines, is imaged in a computer-internal object model, which constantly matches setpoint and actual parameters. The variable coupling connections are detected by RFID sensors and complete the model. If the content of a material source, e.g. yy filling with a new batch, a message is displayed on the touch panel visually from the material source, following the path of the virtual pipes over all coupling stages, and a logbook entry is generated. If a material is not to be released, the source can be quarantined. Conveying is then no longer possible. 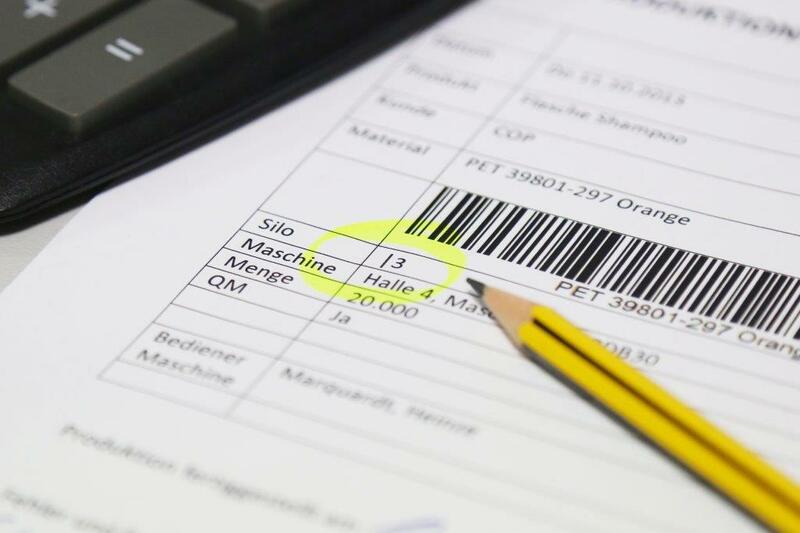 Materials audited by quality management can be released again by registered users. This gives process security. The stored data and the process tracking can be accessed via an integrated FTP server into the network and the data can be exported to a USB data carrier. The special value of these systems is to carry out the requirements which have hitherto been fulfilled by the operating personnel and the company organization. This includes ensuring and recording that the desired material arrives at the machines, which batch of material has been fed to the machine, that the material has been properly dried, and that only released material is used. These requirements go beyond the pure control functions of conventional suction conveyor systems are covered by the MBM in the best way. Of false material, high costs and cold coffee. A case study. In the morning with good mood in the company and see, what´s ran at the night shift. The daily bread of the production manager of an extrusion blow molding production. The coffee still tastes until the time when he is recognized that the bottle has a wrong color. It quickly becomes clear that the night shift has processed 1.5 tons of the material, which would have been the order of the day, for 8 hours. The hairs stand up as the coupling station moves into the field of view and a hose is connected to silo 13 instead of silo 3. And all this because of a random line on the production list. – The SuperGAU for production – A bad day for the mood and the coffee is now also cold. Fortunately, there is the model-based material handling – the navigation device for material conveyance – with which such situations can no longer occur. Material flows are imitated in the model of reality. Silos, couplings, tube paths, dryers, conveyors and dosing devices are monitored. The control system also includes material releases, batch numbers and coupling processes, which are also monitored for tampering. The verification of the material which is used can thus be followed by QA quality auditors. This ensures safety, high quality standards and low production costs. It also quickly becomes clear who has had night shift and has operated the machine, because the user identification registers whether the master or the auxiliary worker was on the machine. Of course, this not only pleases the production manager, but also the colleagues of the quality management and, ultimately, the operations manager, because materials can be saved. 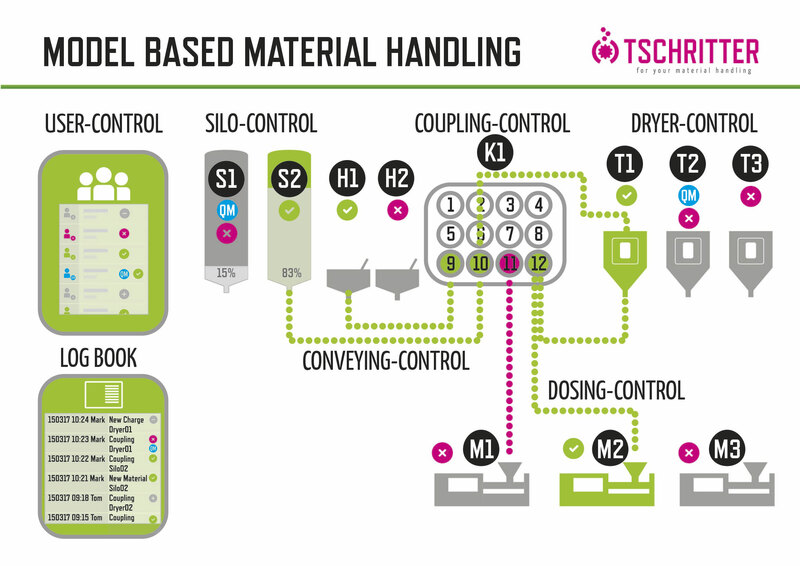 The Tschritter GmbH from Dorfprozelten connects all devices together and makes monitoring and control possible from the silo to the machine. So that the production manager can sleep well again and the coffee does not get cold. Networked systems, with logical monitoring and control, are therefore so important.